It's totally unexpected that I am venturing in agriculture after retired as an education professional. Be a teacher for decades, my daily work was preparing teaching material and check out students' work. Previously, I was busy with carrying out teaching and learning duty. 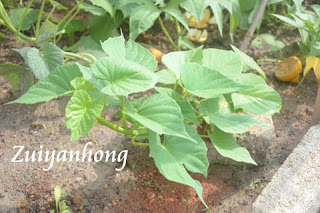 Now, I am bustle dealing with growing vegetable. Daily life before and after retreating from workplace is truly different. Life is short, so try to make it sweet and happy.